The RAND Corporation (Australia) Pty Ltd is RAND’s subsidiary that does work for Australian clients on defence-related topics as well as economic and social issues. With an office in Canberra since 2014, RAND Australia provides local research talent augmented with world-class experts from across RAND’s global presence to solve complex public policy problems with a commitment to RAND’s core values: quality and objectivity. We differ from a traditional management consulting firm in that we rely upon data-driven solutions and strong analytic methods. RAND Australia conducts research on complex strategy, acquisition, force employment, and administrative challenges facing Australia’s national security leaders. Our strategic work focuses on the most pressing and difficult strategy, policy, and defence stewardship concerns of high-level policymakers—from warfighting doctrine and technology to personnel management and health care. Our acquisition and management analyses—on cost trends and estimating techniques, production and workforce management, risk controls, contracting, inventory management, facilities planning, process improvements, and related factors—help Australian leaders control costs and hedge against risk. RAND Australia has significant global experience supporting national security organisations that are confronted with emerging technological, social, political, and demographic challenges. RAND has provided cyber security support, studies and information to these types of organisations, both to address immediate threats and to better position organisations to respond to future threats. RAND has extensive experience working with security and law enforcement agencies in Australia, including the Department of Home Affairs, Attorney-General’s Departments, and the Department of Prime Minister and Cabinet. RAND Australia’s strength is in providing objective and actionable analysis to help policy makers, primarily government organisations. RAND was an early leader in the field of space science, producing seminal works in the design, launch, and operation of satellites in the 1940s and ‘50s. RAND Australia has performed cost-assurance tasks in order to help Defence prioritise investments in space capabilities. Some of RAND’s other recent work includes international cooperation (and the United States' dependency on foreign components), orbital debris (or "space junk"), and the funding of space missions. RAND Australia’s research and analysis spans a broad range of policy issues informed by diverse research methods and tailored to meet specific needs. 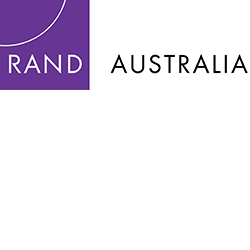 RAND Australia is a trusted source of global and local expertise, analysis and ideas. RAND Australia can provide world-class talent matched to specific problems or needs. RAND Australia has a continuing commitment to advancing the public good.